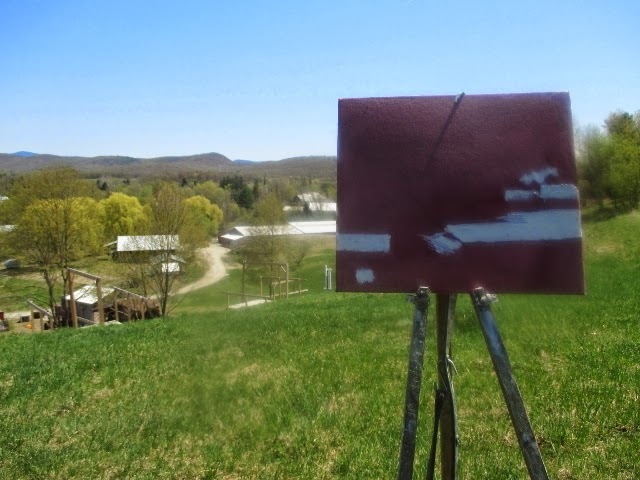 I went to Salem Art Works today and painted up on the hill. 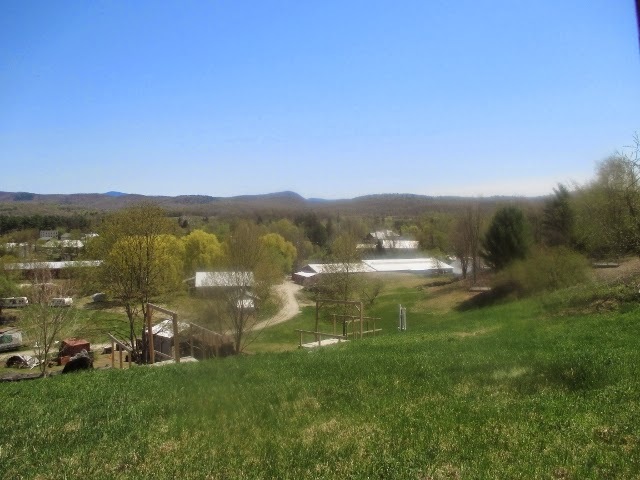 The top of the hill has a commanding view of valley with the mountains in the background, I liked this view because it was a little more intimate and it had the barns in the foreground. 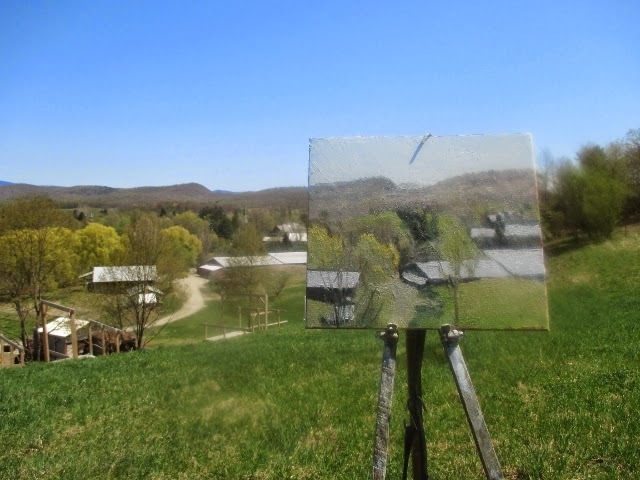 The roofs reflected the sun and made them brighter than the sky, so I did them first. 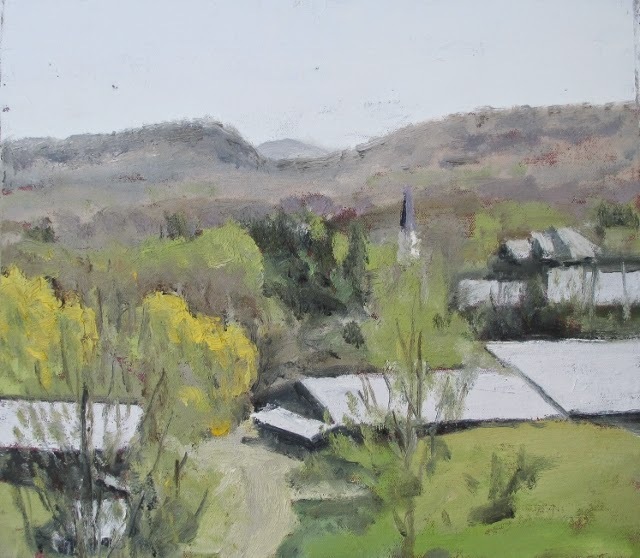 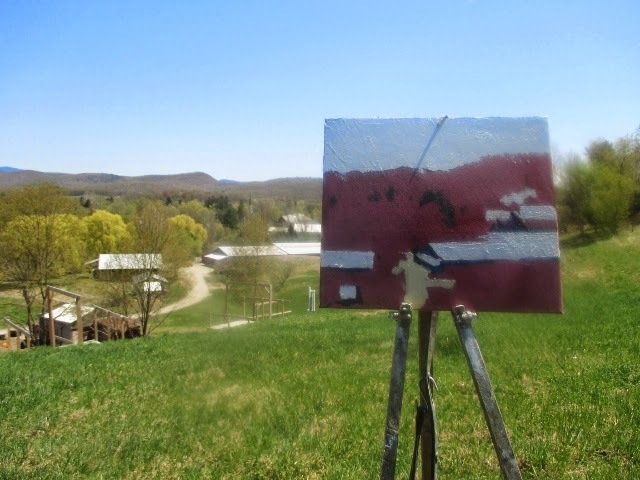 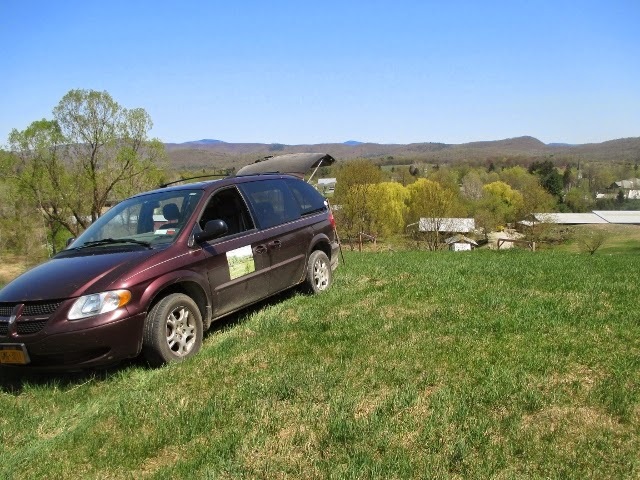 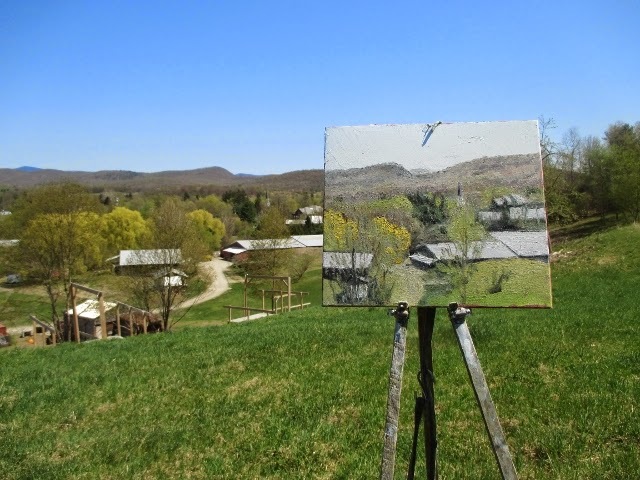 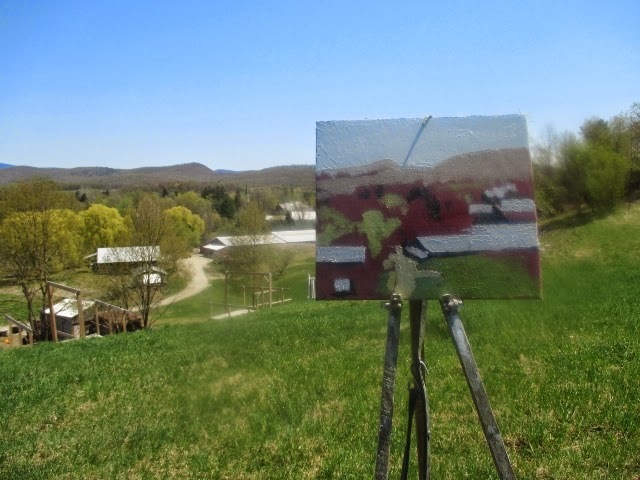 The middle ground, in back of the barns, in front of the far hills, are all over the place in tone, value, color, how to paint it? 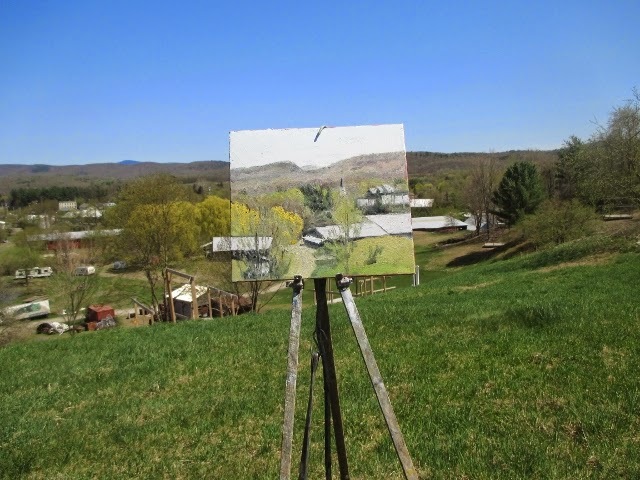 Often things don't come together until the end, or close to it. 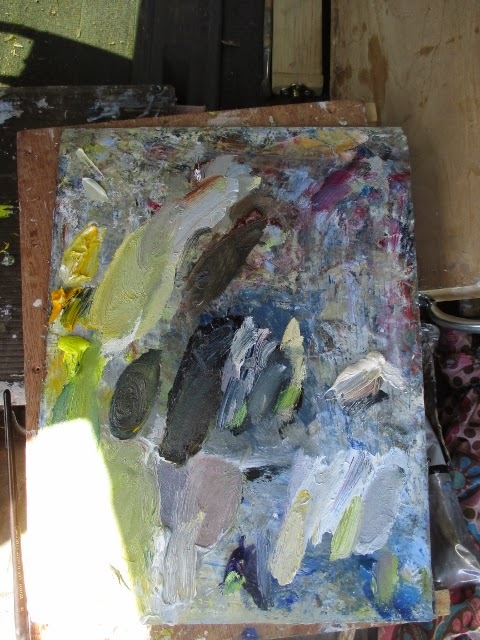 The brightness of the sun seemed to wash all the color out, of course I was painting with the sun on the panel.